Did you know that a small leak in your home can waste as much as 90 gallons of water each day, according to The Energy Collective, and leaks can come from anywhere, including leaking faucets and toilets and slab leaks. In fact, one of the worst leaks to have is a slab leak. They are difficult to find and can be difficult and expensive to repair. 1. 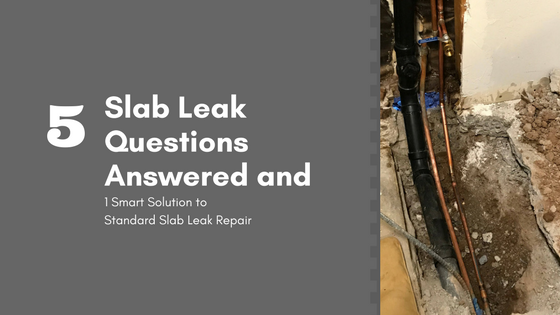 What is a slab leak? Many homes and commercial buildings are built on slab foundations. These are thick pads of concrete that support the building and protect it against movement from shifting soil. The plumbing pipes in these buildings are often installed within and through the foundation. Unfortunately, many residential and commercial building owners believe that their plumbing pipes are well protected against corrosion and leaks if they are encased in concrete. This is not true. Plumbing pipes that are located in concrete slabs are just as prone to developing leaks and corrosion as the plumbing pipes located behind drywall. 2. How do I know if I have a slab leak? Slab leaks can be difficult to find. Therefore, you may not realize you have a slab leak until it is quite serious. Signs of a slab leak include sounds of running water when all of the water-using appliances are turned off, a significant increase in your monthly water bill and flooring or carpet that is wet. 3. What are the hazards of a slab leak? Slab leaks are hazardous because they allow water to infiltrate your foundation. As the water drips from the broken pipe, it is absorbed by the concrete foundation. This can cause the foundation to crack and crumble. If the pipe is left to leak for an extended period of time, the water will wick into the supporting structures of your building, like the wall studs where it can result in the development of black mold. 4. What makes a traditional slab leak repair costly? 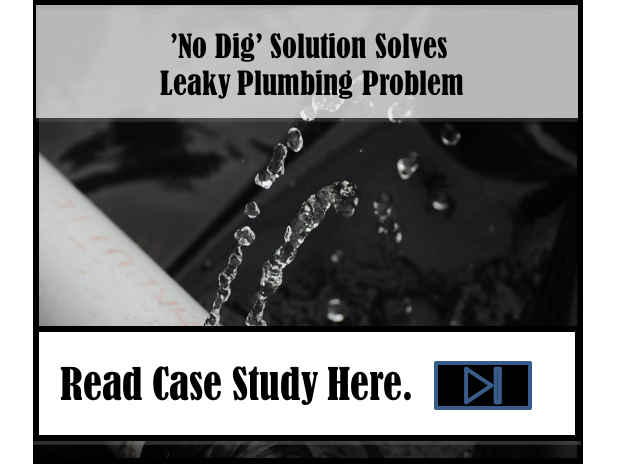 Traditional repairs for slab leaks are costly because the plumber must dig through the floor and the slab in order to reach the leaking pipe, remove it and replace it, which results in significant labor costs as well as the material costs. Once the repair is completed, the property owner must hire another contractor to repair the foundation and the flooring. 5. Is there such a thing as trenchless slab leak repair epoxy? There is such a thing as trenchless slab leak repair epoxy. A trenchless slab repair is less costly and faster than a traditional plumbing repair because there is no need to remove flooring and dig through the foundation in order to reach the pipe. Instead, the pipe is cleaned and an epoxy liner is threaded through the pipe, using an existing access point. This means that there is no need to hire additional contractors to repair your floor and foundation. 6. Does Nu Flow offer a solution for a slab leak repair? Yes, Nu Flow offers slab leak repair solutions in the form of epoxy pipe liners. When you call us for a slab leak repair, we will send a pipe lining technician to your business to perform a camera inspection of the pipes located under your concrete slab. The camera inspection is designed to help us locate the leak and determine if the pipe can be repaired using trenchless technology. If trenchless pipe repair can be successfully used to repair the pipe, we will clean the pipe, insert the epoxy soaked liner, inflate it and let it cure. Once the liner has cured, it becomes just as hard as a new pipe, and the liner will not corrode, which provides you with a long-lasting pipe repair. To learn more about slab leak repair epoxy, call us today at 815-790-9000.